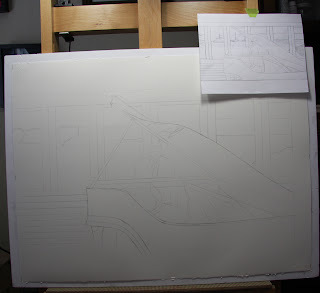 The rough sketch has been transferred to the full size sheet and now I will start to add in the details. I took a photo of the original sketch on the 8.5x11" paper to show the size difference on the 22x30" sheet of paper. Now onto the fun stuff!